2018 was a busy year for Emilia Strazzanti, one of three sisters behind Strazzanti – a Sicilian bakery and occasional pop-up. 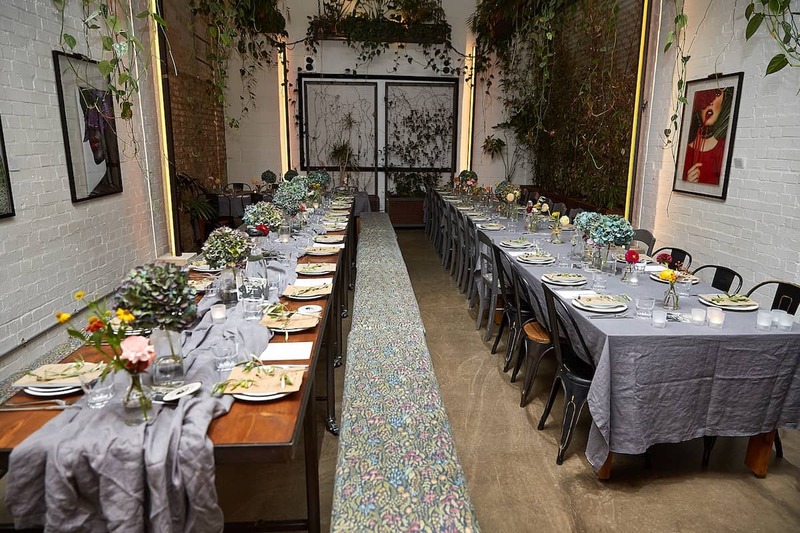 Alongside running a bakery with a penchant for cakes using Sicilian almonds, hazelnuts and pistachios, Strazzanti held a Sunday brunch residency at seventeen 0 seven in Fitzrovia during the summer, alongside hosting a series of supper clubs. Founded by three Sicilian sisters – Emilia, Nina and Sofia Strazzanti – Strazzanti encapsulates the sisters’ passion for Sicilian produce, showcasing modern renditions of authentic Sicilian food, built on recipes passed through generations. Some of these recipes were showcased throughout last year’s supper club events held at both Hackney City Farm and Hackney Coffee Company, with a fourth event set to take place over the course of three evenings in February. Returning to Hackney Coffee Club on Thursday 14th, Friday 15th and Saturday 16th February, next month’s events will welcome the Sicilian Almond Blossom season, following last November’s Orange Blossom theme with an impressive installation by McQueens Florist School. Next month’s events will feature a similar bespoke installation from McQueens, this time inspired by the Sicilian Almond Blossom season, complimenting chef Emilia Strazzanti’s menu of locally sourced, artisanal produce from east London and Sicily. Campari UK will also be involved, set to re-create a selection of classic Italian cocktails alongside Hackney Coffee Club, served alongside dinner. Priced at £55 per person, tickets will include a five course dinner, plus a Campari welcome cocktail, two glasses of Sicilian wine and an additional cocktail. Dishes are set to include the likes of wild fennel, pork belly and mozzarella croquettes; cherry tomatoes with Strazzanti’s pesto Trapanese; aubergine, mint and almond with fresh ricotta and pasta from Pasta e Basta; plus a dessert station offering various cakes. Last year’s final Orange Blossom Supper Club was a resounding success, further cementing the entire Strazzanti operation as an essential one to watch for 2019. Dinner began with triangles of gloriously insalubrious Primo Sale, breaded and deep fried before being lashed with honey, crowned with sprigs of fresh oregano. Antipasti followed, featuring homely stuffed peppers, served with cherry tomatoes and pesto Trapanese; succeeded by a pasta dish with a rich ragù of slow-cooked short rib, capers and parsley, finished with Ragusano cheese. 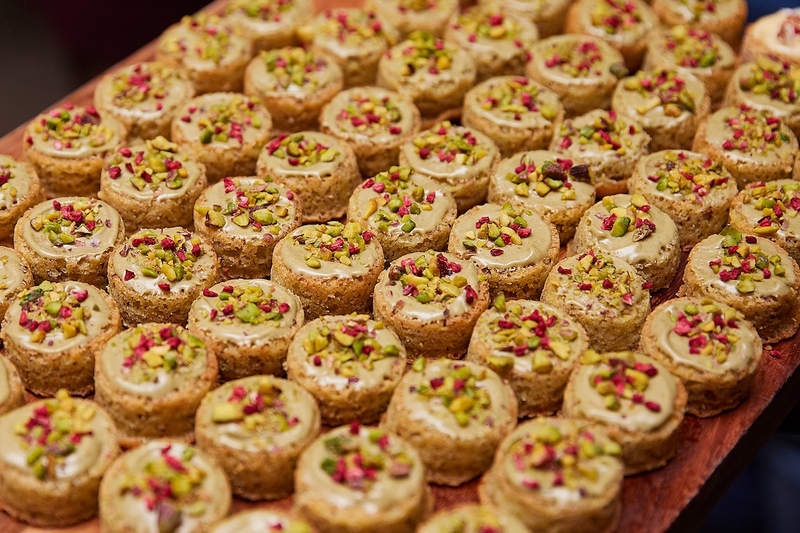 Dessert, meanwhile, included the sisters’ renowned Sicilian pistachio, hazelnut and almond cakes – each remarkable. Simple, ingredient-led Italian food at its very best. Tickets for Strazzanti’s Sicilian Almond Blossom supper club at Hackney Coffee Company (February 14th – 16th) are available from designmynight.com.